The Antigua CSY 44 “Walk Through” is one of the most comfortable sailboats for long range cruising. Her draft is only 5’6” which allows for traveling the Intercoastal Waterway or offshore when desired. All lines are led aft to the center cockpit which includes Lewmar electric winches for ease of sailing with just two people or single handing. Seller has relocated to Nevada. Please bring all offers for this wonderful, extremely well built Antigua CSY 44 cruising sailboat. 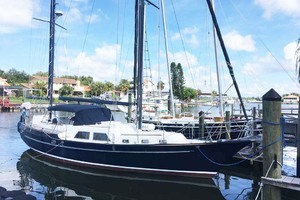 West Florida Yachts would love to guide you through a personal showing of this 44' Antigua CSY 44 1989. 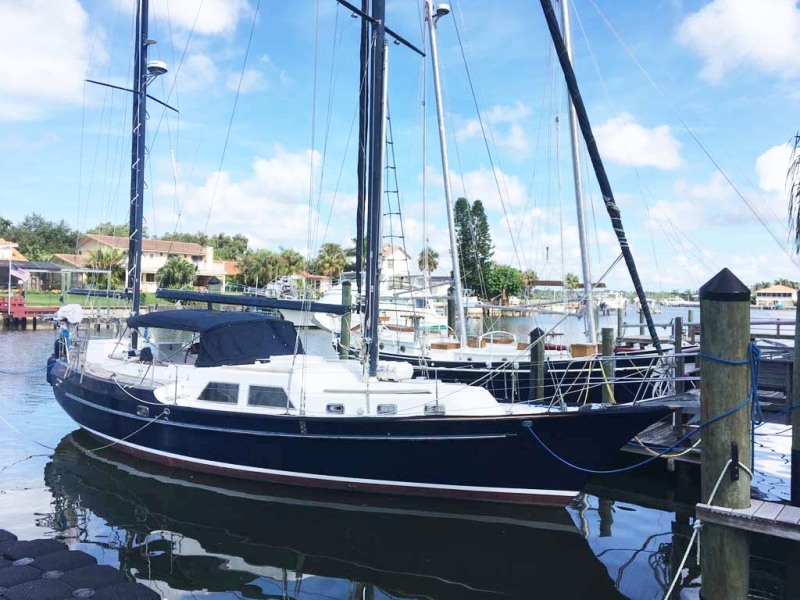 This yacht for sale is located in St. Petersburg, Florida and priced at $99,000. For a showing please contact us by filling out the form on this page and we will get back to you shortly! The Antigua 44 is a center cockpit boat. As you go down the large companionway ladder you enter the main salon. The nav. station is to port, workshop aft of the nav area. The galley is to starboard to enter the owner's stateroom aft. The forward cabin is the guest berth that sleeps two and the stall shower with toilet. New marble flooring is in both showers stalls. The walk-through Galley is to starboard. Master stateroom is aft is aft with beautiful king berth with decorative pillows and comforter. The stall shower and electric toilet are within the aft cabin along with generous storage, cedar lined hanging locker, opening ports and hatch overhead for additional comfort.